Click here for the coaching application Applications close 5th of September. Selected coaches will be required to attend internal trials either the 18th or 25th of September. The Norwood Office will close at 6pm of Friday the 18th of Dec and reopen at 10am on Monday the 4th of January. Norwood is running a 2 day camp this school holidays. 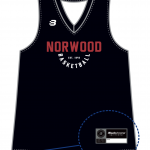 All the details and registration is here: https://www.norwoodbasketball.com.au/?p=2840 Keep your skills up during the holidays! 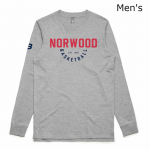 This is the official version Norwood Basketball Club logo. A solid weekend for our Premier League teams opening the season with 3 out of 4 wins. The Women won their opening two games comfortably, while the men lost a close one on Saturday night, but bounced back yesterday with a big win over South. 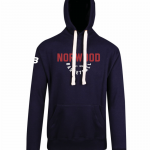 Norwood Merchandise Store Now Open! The Norwood Office will be closed from December the 21st and will reopen on Monday, january the 6th. Congratulations to Adam Valana (SA Metro), Chelsea Brook (SA Country) and Sam Taylor (SA Country Reserve) who have been named in the State Under 16 teams. Good luck to them as they participate from the 6th – 13th July in Adelaide at Pasadena and Wayville. Norwood’s CABL teams take on South Adelaide this Saturday night at Marion. Women tip off at 6.30 and the men start at 8.15pm. Congratulations to Taylor Ortlepp (U18G1) who has been selected for Camp 1 with the Australian U17 Squad over the June Long Weekend. This is a wonderful opportunity, and we wish her every success in the selection process. 2013 Merchandise – Order now! Bendigo Bank Lady Flames win CABL Grand Final! Norwood CABL Men Sign 2 new players!